Homes For Sale On The Golf Course in Citrus County Florida Golf Course Lots. - Waybright Real Estate Inc.
Offering over 20 golf courses all within a 30 minute drive of each other, Citrus County has been referred to by many as a golfer’s paradise. Among these several beautiful courses, four have been ranked in the top 100 in the nation by Golf Digest magazine. Some of the most popular courses in the area are the Dunes Golf Club at Seville, Sugarmill Woods Golf and Country Club, Skyview at Terra Vista, and El Diablo Golf Club. The Dunes, opened in 1988 is 7140 yards and weaves through the naturally beautiful, densely wooded terrain. Using the naturally sandy soil and other features, this course challenges the accuracy and consistency of the golfer. With numerous over-sized bunkers, your skills will be tested at this beautiful and challenging course. 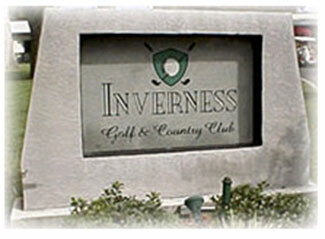 They offer reasonable rates for 18 holes and is considered a real value in the area. Traveling a little bit further north, Sugarmill Woods offers three 9 hole golf courses. The first is the Cypress Course, which offers narrow fairways and is heavily bunkered. Second is the Oaks Course. If you fear water hazards, not to worry! This course is water free and is more open. Sugarmill Woods is located in a planned deed restricted community and the Cypress course has gorgeous Cypress trees for your swing to get around. Finally, there is the Pine Course. This is the longest of the three courses in Sugarmill Woods, which includes the need for accurate drives due to the many out-of-bounds areas. Located in beautiful rolling hills terrain is Skyview at Terra Vista. It has been said that Skyview may be the best “hidden secret” on the Nature Coast. Its par 72 course offers the best golfing Florida’s Nature Coast has to offer. If you dare enter, El Diablo’s Golf Course is located in Citrus Springs. Forcing you to bring your best game, this challenging course snakes through majestic oaks, forests thick with pines and rolling hills. Its 7, 045 yard Jim Fazio designed course is a standout. You’ll be playing around trees covered in Spanish Moss and beautiful ponds that you’ll have to work to get around. 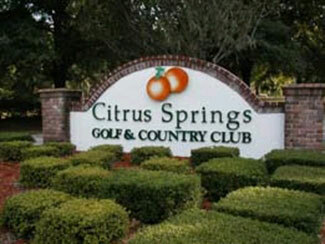 Other courses in the area include Citrus Hills Golf and Country Club, which offers two challenging courses (The Meadows and The Oaks), Citrus Springs Golf and Country Club, Lakeside Golf and Country Club, Pine Ridge Golf and Country Club, which also offers two courses (an 18-hole and a 9-hole), the Plantation Inn and Golf Resort, Point O’ Woods, Rainbow Springs, Seven Rivers, and Twisted Oaks Golf Club. Leading off the four top ranked courses in the area, Southern Woods Golf and Country Club was nominated by Golf Digest magazine at the Best New Private Course in 1993. Offering flat, wide fairways, thick rough, and large challenging greens, Southern Woods is located within a deed restricted community providing a picturesque backdrop. Next is World Woods, providing two of the most challenging 18-hole golf courses in the country. World Woods also offers a world class practice facility that was nominated by Sports Illustrated magazine as "the best range in the world." Along side this practice facility lays two courses both ranked in the Top 100. Rolling Oaks was ranked 63rd in 1999 and Pine Barrens was ranked 9th in 1999. World Woods is truly one of the most rewarding golfing experiences you will ever have. Designer Tom Fazio has said that 'this is my best work." Finally on the list is Black Diamond; offering 45 of the most amazing and challenging holes of golf you will ever experience. These Tom Fazio designed courses are carved out of an abandoned limestone quarry providing some of the most breathtaking views and stunning landscaping a golfer could ever hope for. Black Diamond has emerged as one of the top-ranked courses in the world. Citrus County, Florida is an undiscovered, out of the way part of natural Florida. With top ranked and reviewed golf courses in the world, designed by the pros, you’ll find the kind of variety and challenges any golfer could hope to find. Whether you are a seasoned golfer, or need to find inspiration as a beginner, Citrus County has all of the benefits of world class golfing, with none of the hassles of big city living. Contact Waybright Real Estate today to explore your next home on the Golf Course in Citrus County.